The regional natural park of brière in Loire Atlantique. You do not have to go to a distant country to join the earth and reconnect with nature. In a world where vegetation explodes, get relax for a moment of tranquility. Near the Atlantic Ocean , close to the bustling seaside resort of Pornichet and La Baule , in the center of the peninsula of Guérande ; the park of Brière immerses you in a soothing and green environment, a case of preserved nature which extends on 49000ha. 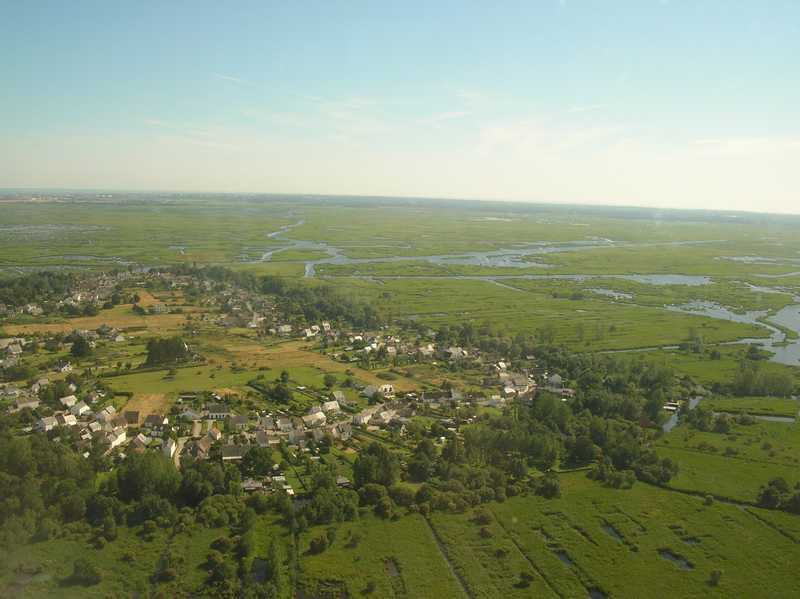 Second marsh of France and defined as the most great wealth of the Pays de la Loire region , the park of Brière is surprising of diversity on the biological level. Thanks to the protection of its environmental space, a variety of fauna and flora develop. Some endangered specimens, including birds, are a breeding ground for breeding. Unique for its nature and heritage, let yourself be transported by beauty and landscape diversity. On foot or by bike, canoe or aboard a barge (small boat), surrender on the golden paths of the Brière impregnated with floral scents in a profusion of colors. During this gentle walk, familiarize yourself with all kinds of animals such as frogs, pikes, carp, ermines, hares or weasels! At the heart of the park lies the mysterious authentic village of Kerhinet. Accessible only on foot, it is free and open all year. This site of traditional architecture is the property of the regional natural park since 1973, this in a goal of heritage conservation. 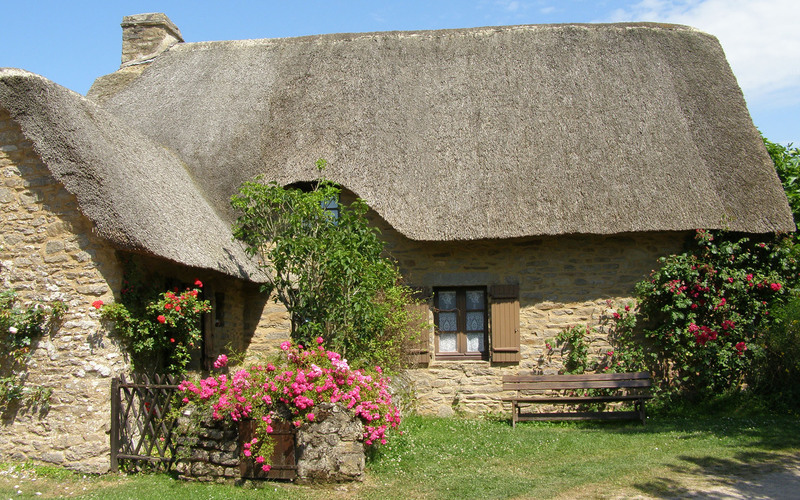 This charming little hamlet of 18 thatched cottages takes you back to the beginning of the 20th century, in the customs of the Brières of yesteryear. Not long ago, the inhabitants of the village were still providing for their needs in the marsh thanks to two bread ovens, a well and a wash house. Fishing, hunting, and breeding remained their main activities. They used the reeds to turn them into thatch and cover the roofs of their houses. They extracted peat for heating. FOLLOW with family or friends a signposted trail that leads you through these traditional homes. You can also find on some old walls, nice temporary exhibitions in the image of "the discovery of insects". Do not forget to stop at the Maison du Parc, a very interesting museum to know the history of the park and the history of the village. A guided tour of the park can also be offered. To take with you a little bit of your holidays in Loire Atlantique , stop at the cottage of flavors and crafts. You will find local products such as cider, salt, honey, pâté ... as well as artisan products from the "la Brière" manufacture. Find the rendezvous of gourmets every Thursday, at the market. It is in a warm atmosphere that local producers offer their local products. Enjoy during the summer season of several concerts, exhibitions of artists and fairy tales , organized within the Catiche and the lodging of the Schoolchildren (to ask the program). A moment of pleasure, share a meal at the inn Kerhinet. It offers traditional dishes of Brière based on fresh and local products. The pastries are homemade. 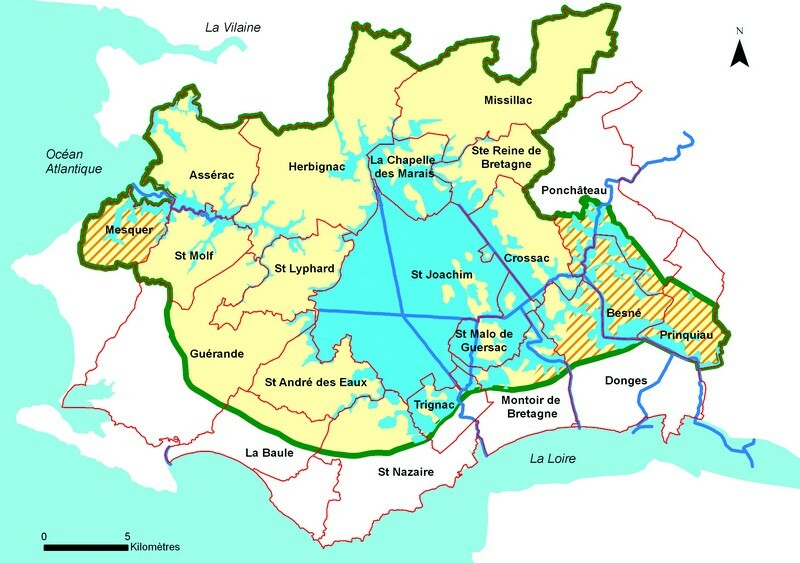 La Brière has a handful of islands between Saint-Joachim and Saint-Malo-de-Guersac. Fedrun Island is one of the 7 islands of the archipelago. It is considered the most atypical, almost unchanged since the 1900s. A labyrinth of canals bypasses the islands, barges navigate and rally houses between them. Dive inside a traditional Briere cottage . A whole range of furniture and accessories will take you back to the Briere universe of yesteryear. The honeymooners of the time had a particular craze for the orange blossoms of Fedrun Island. Decorations were made on the island by the Briéronnes until 1950. For the adepts of delicate work, the adorable museum of the bride presents an exhibition of its most beautiful collection of yesteryear. You wish to know the history of Fédrun on the fingertips, several guides are at your disposal to count it. 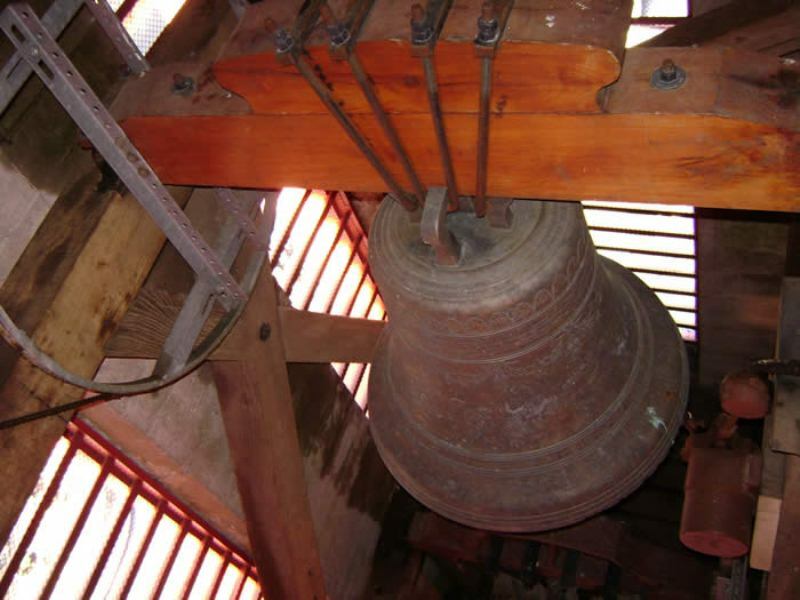 Discover a breathtaking 360 ° view of the church tower of Saint Phylard. Perched at 35 meters high, the bravest will have to climb 135 steps. From the top of the bell tower you have a vision on the whole region. We can see in the distance the bridge of St Nazaire, but also the Collegiate of Guérande and on the left, the marshes of Brière. Behind you, the Férel water tower. Halfway through, you enter the breathtaking architecture of the church. A captivating atmosphere emerges with its light, its stained glass windows, its vaults and its orange tower. Do not miss this unusual visit without any pretext. For lovers of medieval strongholds, transport yourself to the past by visiting the castle of Ranrouêt. 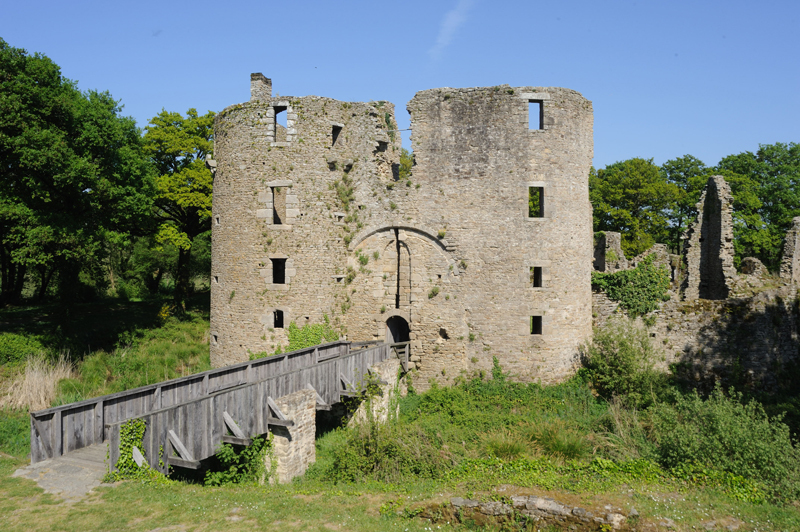 Located in Herbignac, this magnificent remnant of the Middle Ages open air is surrounded by oaks and greenery. Built in the 13th century, the castle controlled the entrance of the peninsula of Guérande to travelers coming from the north of Brittany. Come live the various activities available from April to October. Night routes and medieval camps are also organized in summer. The Léveno team wishes you a beautiful visit of the Parc de la Brière during your wonderful holidays in Loire Atlantique.